MFT recently awarded 22 Blue Hill Peninsula Community Food Grants, totaling more than $55,000. The average grant received was just over $2,500. Grants were awarded to projects or programs intended to increase food sustainability and improve the health and well-being of Blue Hill Peninsula residents. MFT recognized programs that create a more just and sustainable local food system through production and education within both the immediate and surrounding communities. Tree of Life food pantry was one of this year’s grantees. Betsy Bott, a volunteer at the pantry, explains, “The Community Food Grant and Good Shepherd’s Mainers Feeding Mainers have made it possible for us to put the best our local farms have to offer onto the plates of our community’s food insecure. Due to this support, the Tree of Life has returned 8-10 thousand dollars a year back to local farmers. It’s a win-win, as cliché as that is. That’s what’s so great about these grants. They get really good food to our neighbors, and give farmers a payment.” Healthy Peninsula’s Healthy Eating Initiative received one of the other grants. Awards were also given to individuals and businesses. “Receiving this grant is enabling us to accelerate the growth of our home garden through the purchase of essential tools, cold frames, and a small greenhouse. As a family of five that wants to eat organic, non-gmo, local food our grocery bill is very high – so being able to grow more of our own food is a high priority for us. 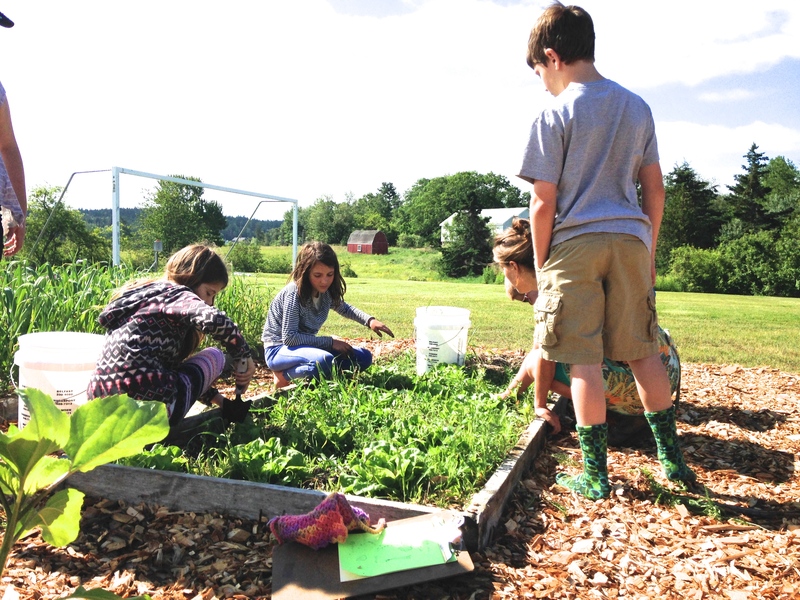 Working with our children cultivating the land and showing them how to provide for themselves is one of the most important lessons that we can teach.” says Alycia Brown, of the Blue Hill home garden project. Other projects awarded grants involved purchasing produce from local farmers to share with food insecure neighbors, construction of farm stands, purchasing farm equipment (as well as home garden tools and improvements), and summer camp garden programs for kids. MFT would like to congratulate everyone who was awarded a grant and thank everyone who applied.